Mobile operators all over the world are locking their mobile phones to work only in their own network. They want to prevent a solution that you buy a cheap phone from operator A and then use services with the same mobile phone from competitive operator B, because they can cover the costs ob subsidy only if they charge you some additional services and charges (in this case for using their services). You can read all over the internet, that you can unlock mobile phones (network locked) even online and for free (well, only some of them). 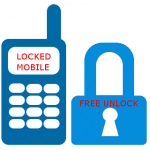 Mostly all of those websites for free unlocking expect from you to select a model and type IMEI number, select network and you got your unlock code and of course instructions for unlocking. Read how to get IMEI number. If you like to find more sites, try searching in Google for different phone models like “nokia unlock” or “samsung unlock” or check the website with Phone unlock. If you want to try and discover a little about unlocking for yourself at home, then you should buy some service tools. There are a lot of well known tools on the internet but they are expensive and changing frequently. As the new phones come with new platform, they usualy change the service tool name and offer it as new solution and charge a new box.